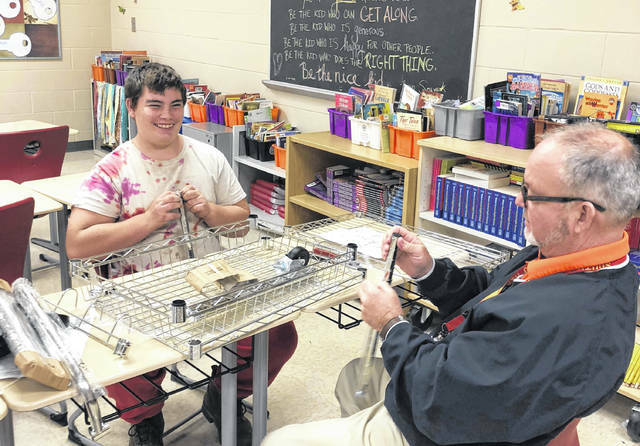 A South Gallia student assists with the construction of a cart utilized by Rebel Roast. MERCERVILLE — South Gallia Middle-High School students recently started serving up their own coffee in an initiative bent on sharpening math, entrepreneurial and service skills. Darlene Hampton also assists the students in Rebel Roast along with Kessinger. The school reached out to Ohio Valley Bank and Holzer Health System to serve as a partnered sponsorship of the program which gave the Rebel Roast enough money to buy all its equipment to start. The program utilizes Silver Bridge Coffee.